This volume reviews the fundamental understanding of this potentially life-threatening disease and the advances in treatment that have been achieved with the use of the monoclonal antibody eculizumab. Although the PIGA gene has been known for many years, the mechanism of clonal dominance in paroxysmal nocturnal hemoglobinuria is still largely unknown. 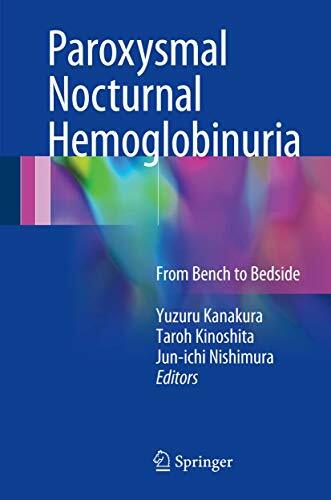 This book, Paroxysmal Nocturnal Hemoglobinuria, discusses the direction of continuing research in this area, as well as the potential for the development of management guidelines. It serves as a valuable source of information for both basic scientists and physicians, especially immunologists targeting GPI-anchored proteins and complements, and hematologists specializing in bone marrow failure.